The first and last supermoon of the year will rise above the horizon in the east on Sunday and loom larger and brighter than normal as it climbs in the night sky until it sets the next morning. Known in the Farmer’s Almanac as the cold moon, the long night moon, and the moon before yule, the event comes as the December full moon coincides with the body’s close approach to Earth, making it appear 7% larger and 15% brighter than average. 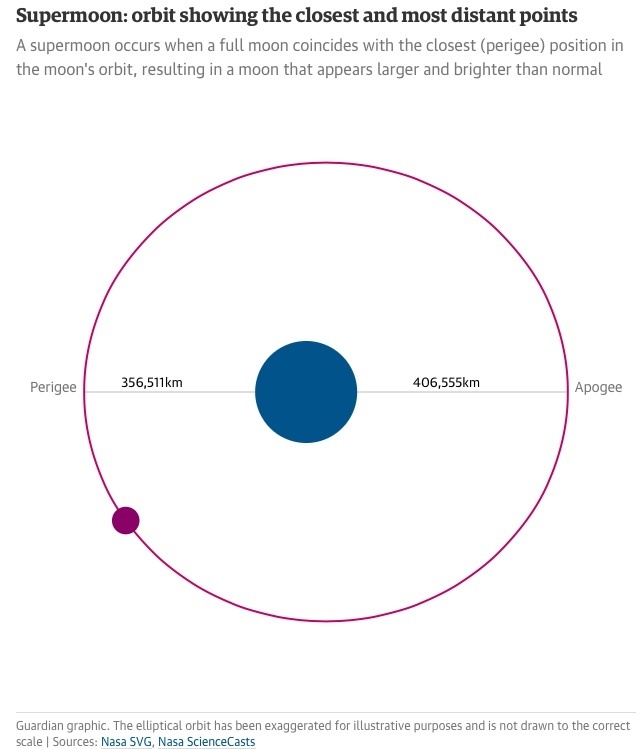 The moon’s orbit is not perfectly circular and its distance from Earth varies from around 222,000 miles to more than 250,000 miles over the course of a month. A full moon arises when the Earth sits directly between the sun and the moon. The supermoon will rise from around 4.15pm GMT in Britain, but will be nearest to Earth shortly before 9am on Monday morning. When close to the horizon, the moon may take on a reddish hue, because the sunlight it reflects passes through more of the Earth’s atmosphere, which strips out blue light more than red. For most observers, the shorter distance to the moon will make so little difference to its appearance as to be imperceptible. The difference between the largest full moon and the smallest as seen from Earth is on a par with the difference between a 1p and 5p coin. 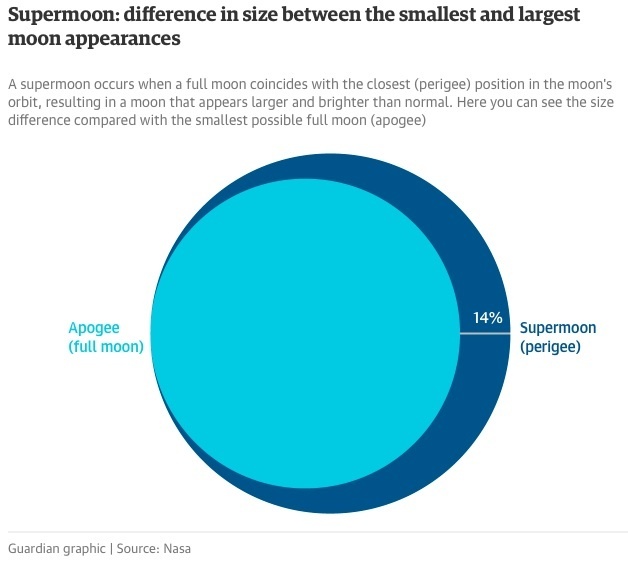 “It’ll be slightly bigger and brighter, but whether you can tell that from looking at it without an average full moon to compare it with is a moot point,” said Marek Kukula, public astronomer at the Royal Observatory in Greenwich. 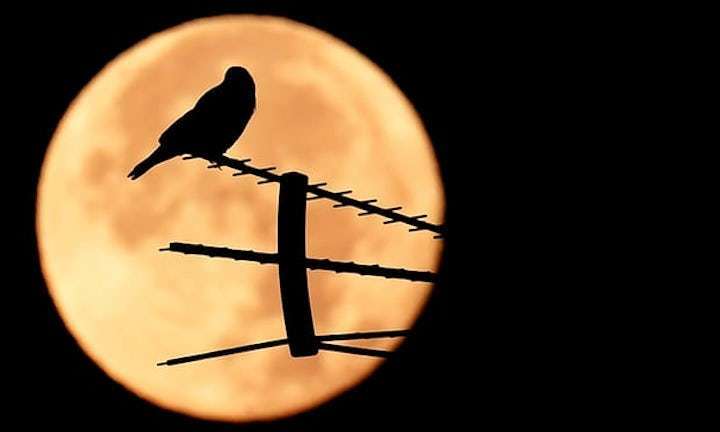 The most dramatic views of the supermoon in the UK are expected soon after moonrise when it still hugs the horizon and appears huge against the backdrop of the skyline. The effect is down to the poorly-understood “moon illusion”, in which the moon seems bigger when viewed next to familiar, nearby objects such as trees, churches and tower blocks. As ever for observers in Britain, the sight could be completely obscured by cloud. According to the Met Office, much of the country may be under cloud on Sunday afternoon and evening. With weather coming in from the west, the best spots to view the supermoon are expected to be in the east of England, through thinning and occasional breaks in the cloud. If the weather fails to cooperate, a virtual telescope project aims to livestreamfootage of the supermoon from its robotic telescopes. But if watching on a screen misses the mark, it is not long until the next supermoon, when conditions may be more favourable. The next two full moons, on 2 and 31 January, both qualify as supermoons. The latter is technically a super blue moon, as it will be the second full moon in a calendar month. Rarer still, it will pass directly through Earth’s shadow, creating a super blue moon eclipse.